Great design is the first step to beautiful and functional cabinetry. Equally important is the use of premium materials and construction methods. At ArchStone Design, our cabinetry is completely custom made utilizing only the finest materials and paying the greatest attention to detail. Industry leading European hardware manufacturers such as Blum, Salice, Hafele and Grass are used in all of our cabinetry. 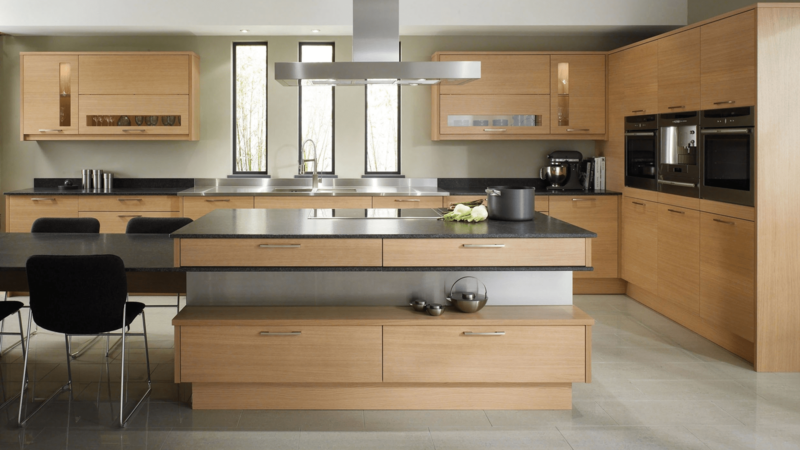 Your dream kitchen is made possible with our in-house designers making it really simple and easy to get the perfect style kitchen for your home. We even offer financing which can allow you to start your home project now. Visit our showroom where our cabinetry professionals will listen to your needs, discuss your current space, look at your overall budget, propose ideas and look at all of your options. We will take measurements, and formulate a plan to maximize your cabinet space. Pick finishes and colors, present the project in 3D and make revisions in style and layout if needed. We will assemble the cabinets in our workshop, remove your old cabinets and replace it with new ones while making sure the completed cabinets and installation meets your expectations. We specialize in kitchens, bathrooms, closets, built-ins and more. We have styles ranging from the traditional to transitional as well as contemporary. ArchStone Design offers several exceptional cabinet lines, including Omega, Kemper, KitchenKraft, Grabill, and even few budget lines to meet every every budget. 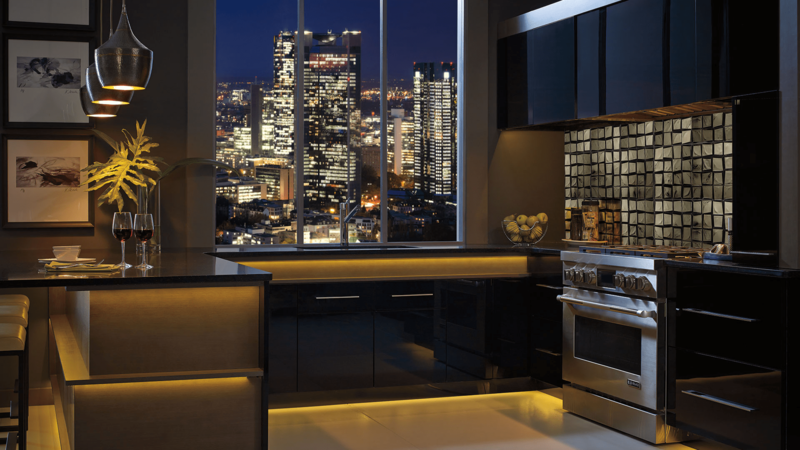 The city skyscape sets the tone for the ultra contemporary kitchen in this sleek loft apartment. The Ricci door style is the perfect choice to set the tone for the edgy Black and Pumice finishes. Who wouldn’t love the bold attitude of these maple cabinets and Cambria countertop? Designed for small space living, everything is at your fingertips yet features an open plan that invites your group to gather round. Desoto in maple wood with autumn finish. Discover why ArchStone Design is the number one choice for your home for over twenty years. We cut out the middle man with our workshop. Over twenty years of experience in excellence. 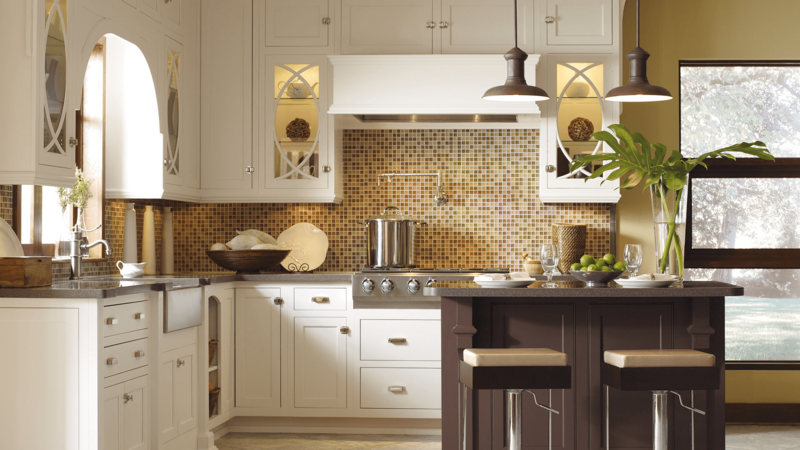 From traditional cabinets to modern, we have it all. We build our cabinets with hardware that will last. We use premium materials and construction methods. We carry many quartz brands as well as natural stones. Drawer Inserts, Lazy Susans, Sink Front Trays, and more. Finance up to $77,000 cash for your entire project. 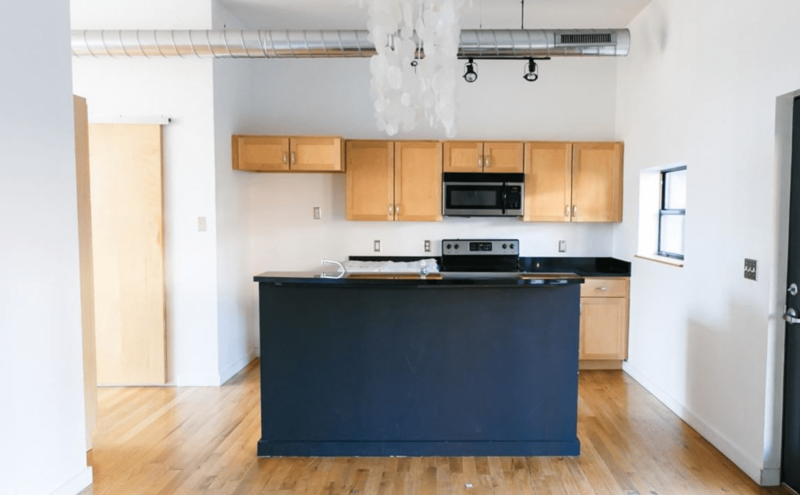 Maple cabinets and dreaded black countertops made the kitchen a dreary place that was no fun to cook in. On top of that, the massive kitchen island was heavy and way too big for the space. 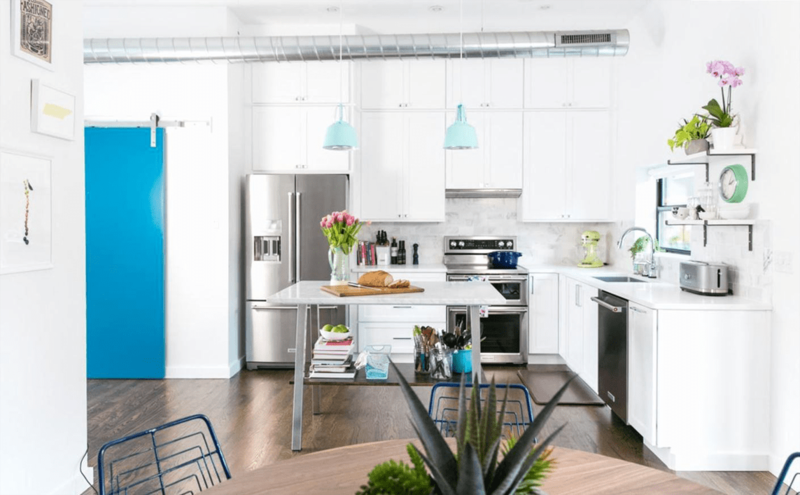 What’s not to love about this gloriously spruced up kitchen? Replaced those maple cabinets with clean new white ones, ripped out that heavy island and moved the sink under the window. We offer financing for up to $77,000 cash for your entire project. With our finance program, you can bundle virtually everything together for your kitchen, bath, or other remodel project. Just start with a beautiful counter surface. Then add cabinets, hardware, fixtures, and more. With convenient payment plans to match any budget, our financing program makes it easy and affordable to start your dream project today. The options are endless when it comes to personalizing your kitchen, and ArchStone Design has them all covered. Peruse our selection of kitchen cabinet accessories, including lazy Susans, drawer inserts, storage pullouts, trash & recycling pullouts, specialty storage and more. No matter what your budget constraints are, you’ll get the right kitchen cabinet accessories at the right price. ArchStone Design offers the industry’s most extensive line of premium quality cabinet, drawer, and bath knobs, pulls and other hardware, created to suit all tastes and styles. We carry premium brands like TopKnobs, Atlas Homeware, Mondora and more. Discover our extensive selection in our showroom.